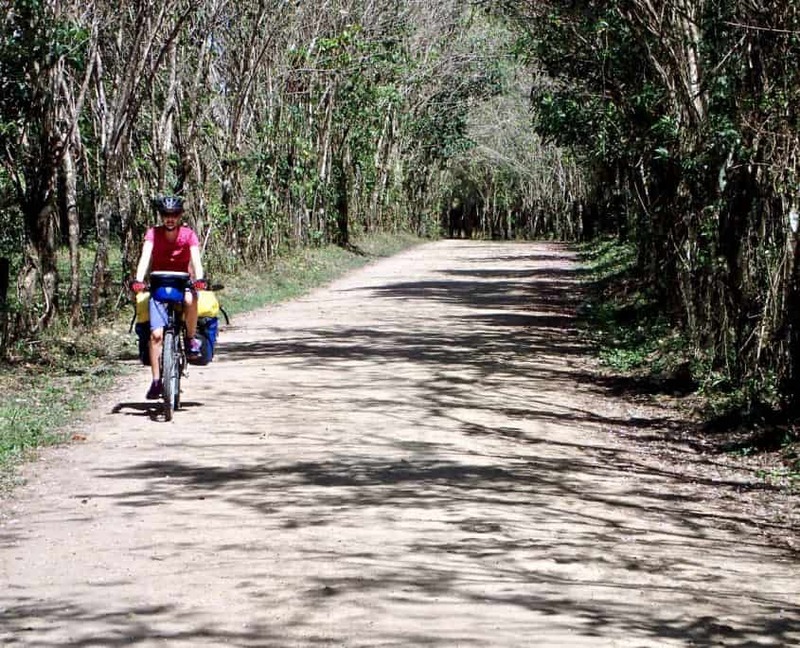 Finca Ixobel near the town of Poptún is well known amongst travelers and also amongst cyclists. We didn’t know exactly what to expect when we were aiming for this popular rest stop on our cycling route into the mountains of Guatemala. 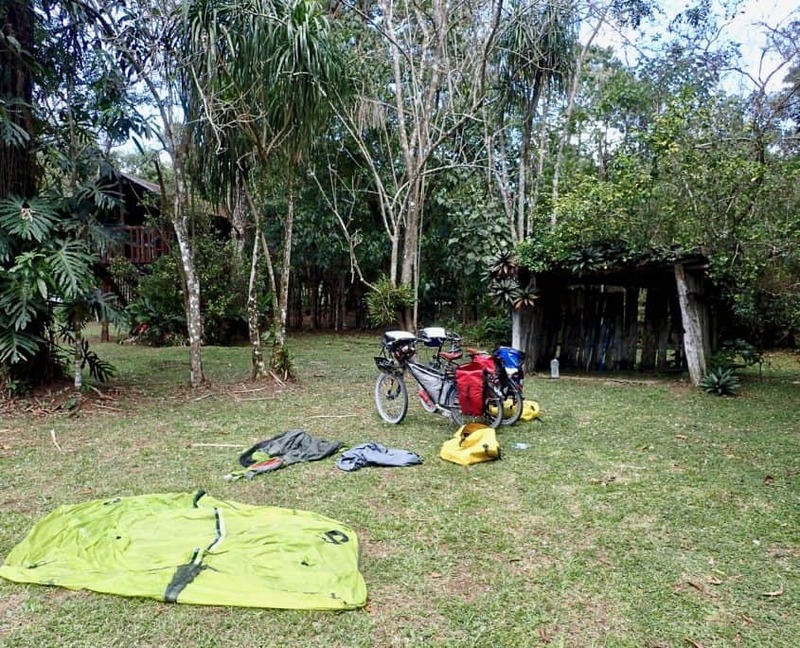 It turned out that Finca Ixobel deserves all the praise and it prooved itself a true paradise for travelers and tired cyclists! 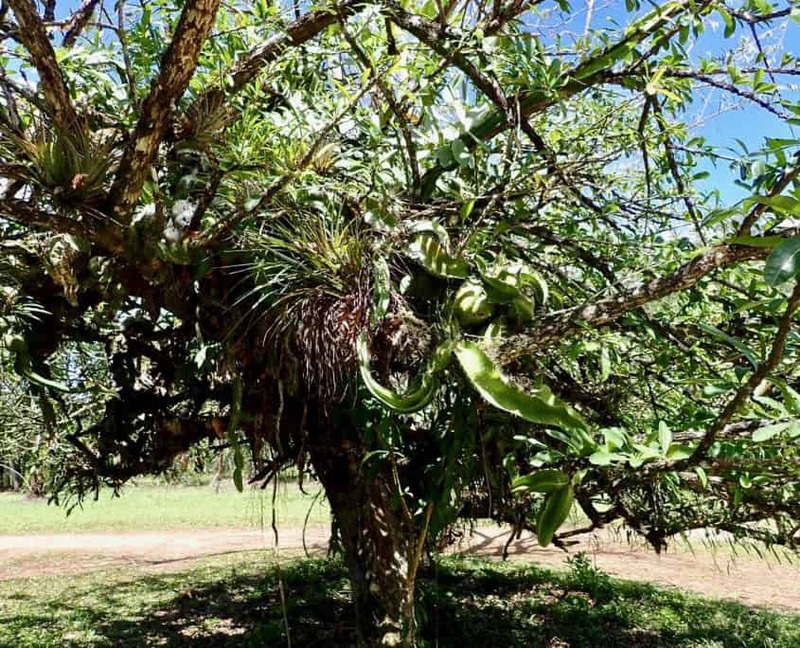 It was only about a 15 minutes ride south from the town of Poptún and we reached Finca Ixobel at an elevation of about 600 Meters. 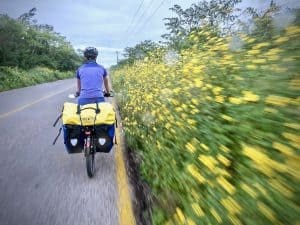 Cycling towards the finca was already very scenic because the road was surrounded by an arc of flowering trees. The trees are used to build a natural fence around the fields. I have seen that now a few times and I really like the idea of a living fence. It saves some maintenance! 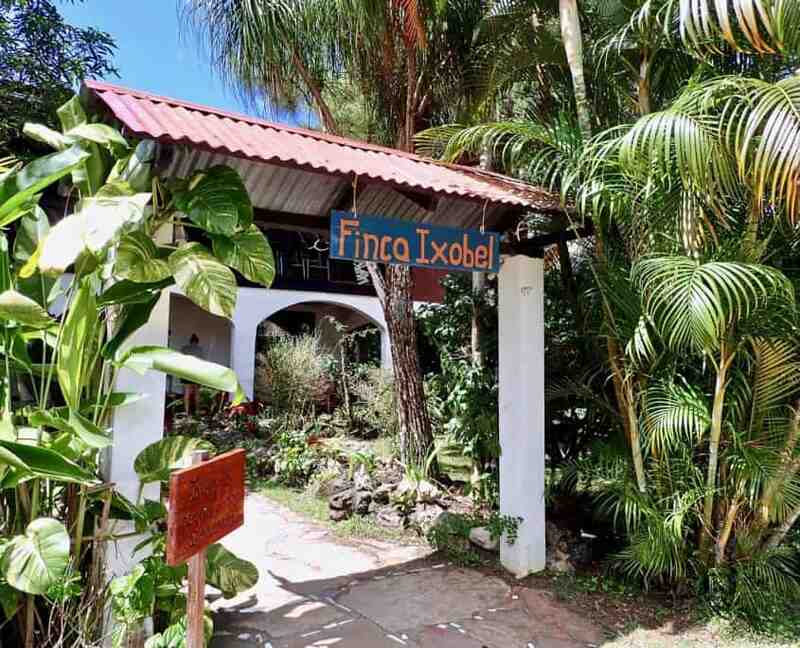 Finca Ixobel was once founded by a Californian couple and these days the ecological lodge is famous for their volunteering option. After having stayed at the finca for a couple of nights I can definitely understand why people want to stay longer and if I wouldn’t have any other plans, who knows? 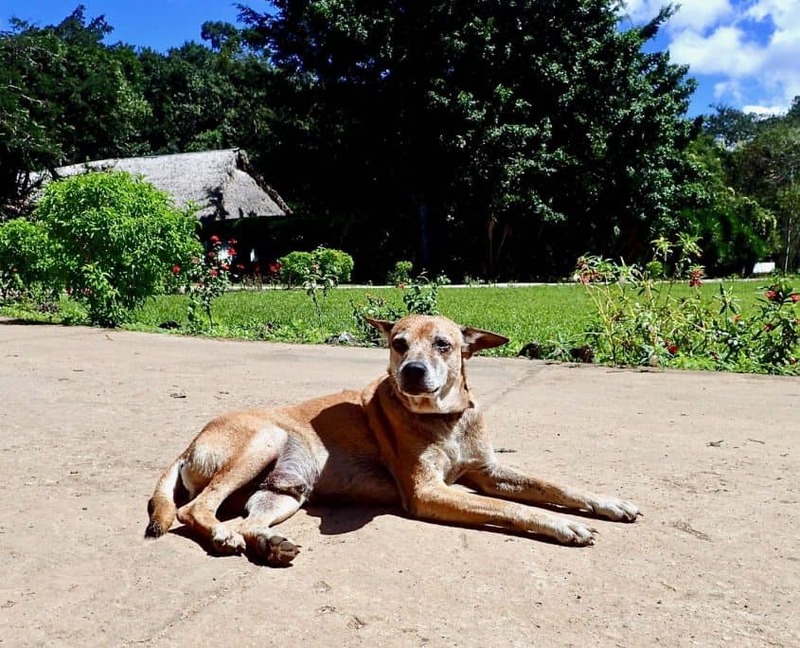 Arriving at Finca Ixobel you will be greated by at least one of the many dogs living there. They are all friendly and like to welcome the guests. 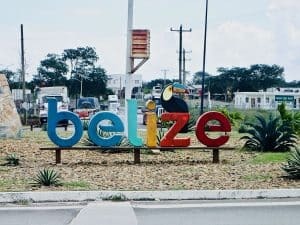 Another local is a macaw that cannot fly. 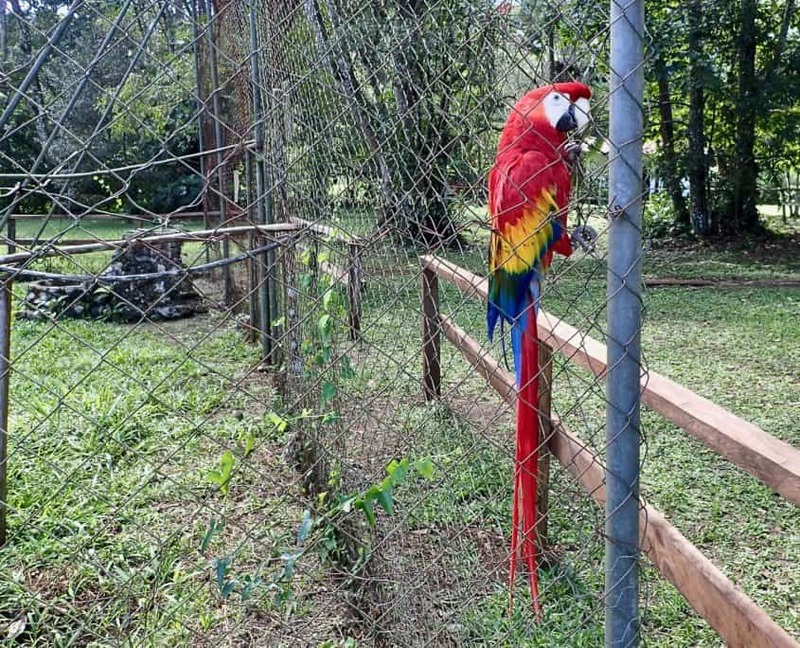 He lives in a big cage next to the main house and if you ever get there, try to say “Holá” to him. He might repeat it! 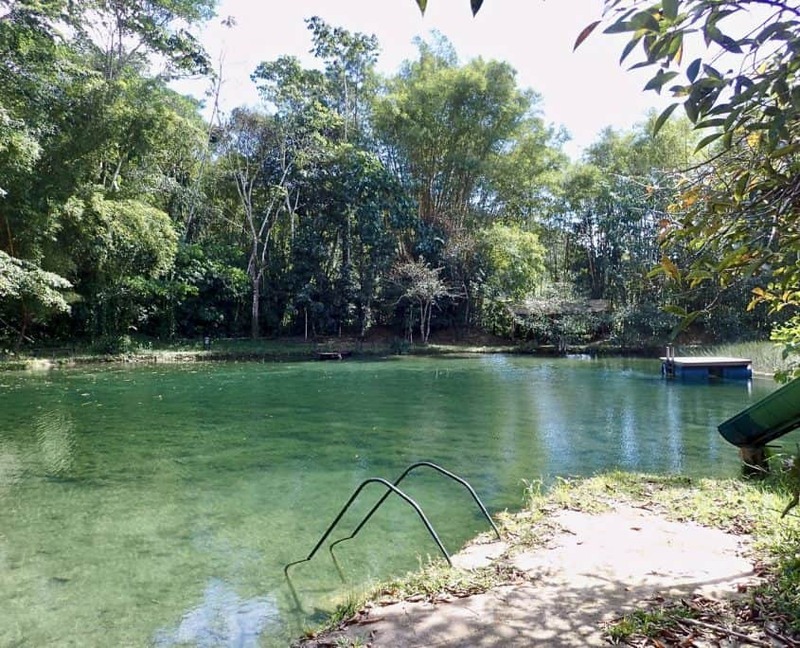 Finca Ixobel offers all kinds of accommodation from private rooms to fancy tree houses. We decided for the cheapest option and pitched our tent somewhere in the big garden. From there we basically went back and forth to the main building with the restaurant to still our cyclist-hunger with one of their delicious meals. Another treat for us was a swim in the natural lagoon. It was much more beautiful than I expected and the water was nice and clear. We had the lagoon to ourselves and enjoyed the afternoon sunshine on the floating wooden island. A true paradise! To make our stay perfect I booked one of the finca’s many activities. You can choose from cave-tours, hiking tours, self-guided walking tours and horseriding. After all the cycling I thought it would actually be nice to be carried around and so I opted for the 2-hours horse riding that would cost me 150 Quetzales (around 15 Euros). Brad didn’t come with me because he doesn’t like horses and there was noone else booked on the morning ride. Therefore I was alone with my Spanish-only guide. And of course our two horses. The ride went along narrow trails with jungle left and right. I was surprised how big the whole area of the finca was. My horse, Tijeras, was great but somehow he didn’t think too much about having someone sitting on top of him. To avoid muddy sections he often crested along the side of the trail or even went right through the bushes. I could understand his concerns as it was in parts too muddy and very hard for the horses to get through. We climbed on top of a hill from where we had a look over the finca and the nearby town of Poptún. It was great scenery and I enjoyed being carried around a lot! After two hours and with a big smile on my face we returned to the finca. 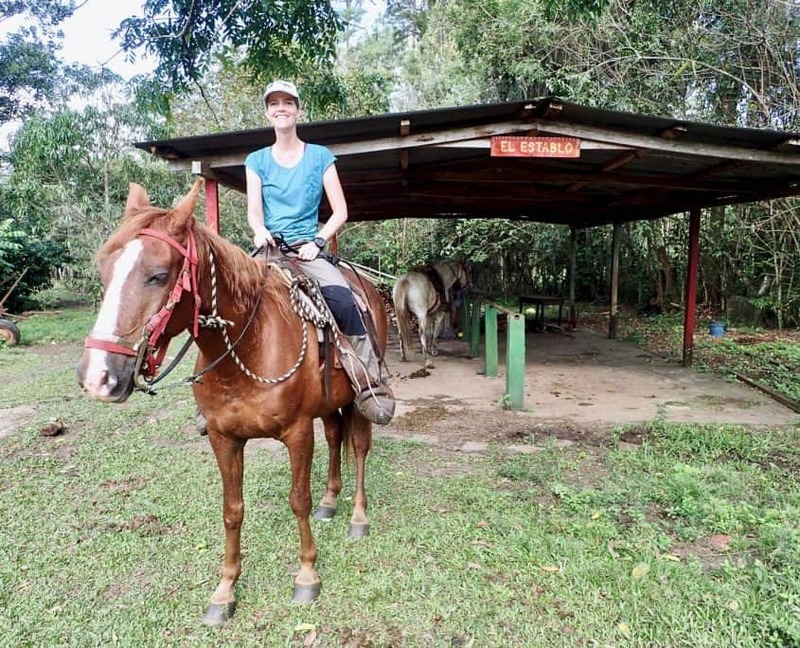 If you ever get the chance of staying at Finca Ixobel, I can definitely recommend a horse ride!